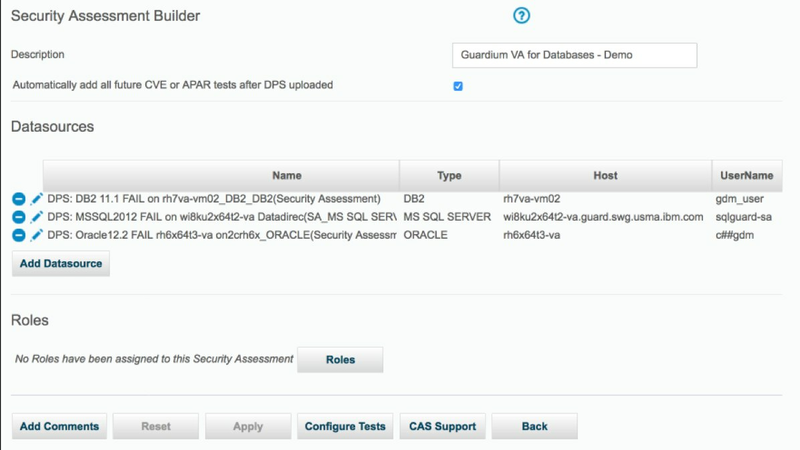 IBM Guardium Vulnerability Assessment scans data infrastructures (databases, data warehouses and big data environments) to detect vulnerabilities, and suggests remedial actions. The solution identifies exposures such as missing patches, weak passwords, unauthorized changes and misconfigured privileges. 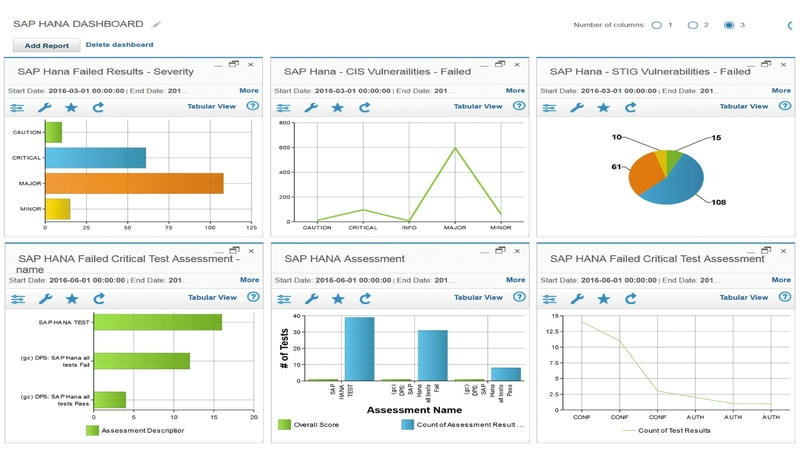 Full reports are provided as well as suggestions to address all vulnerabilities. 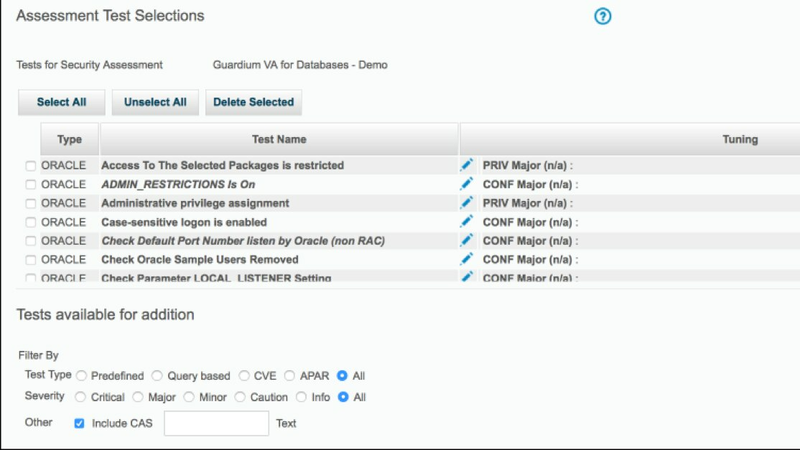 Guardium Vulnerability Assessment detects behavioral vulnerabilities such as account sharing, excessive administrative logins and unusual after-hours activity. It identifies threats and security gaps in databases that could be exploited by hackers. Discover and classify sensitive data in heterogeneous environments. 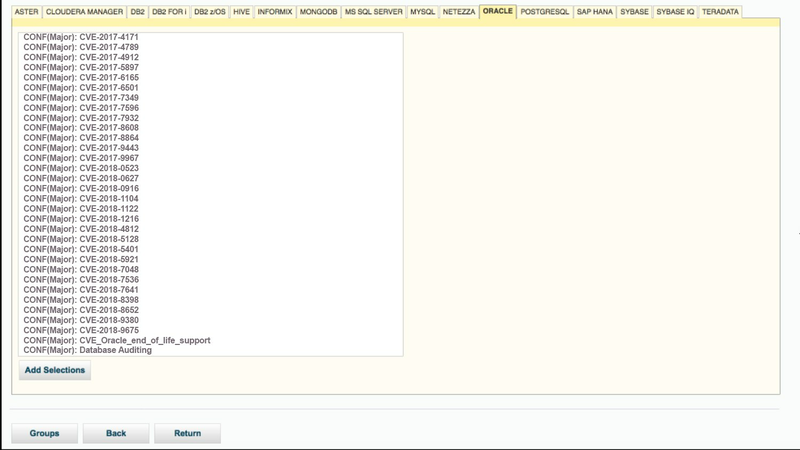 View detailed reporting on entitlements and risky configurations. Automate compliance audits and exception management.